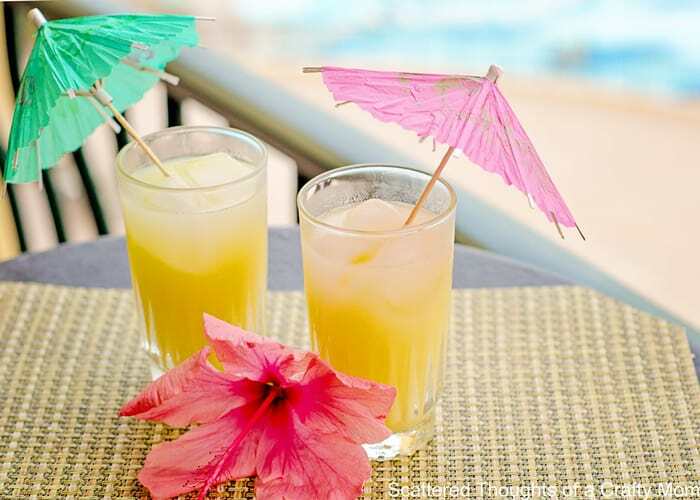 We had a busy day today and came back late from the pool, so we decided to do another easy drink. (I think we will be breaking the blender out tomorrow.) This Painkiller recipe has been around for a while, though I modified it a bit based on what we had on hand. I’ll give you the original recipe along with my changes. 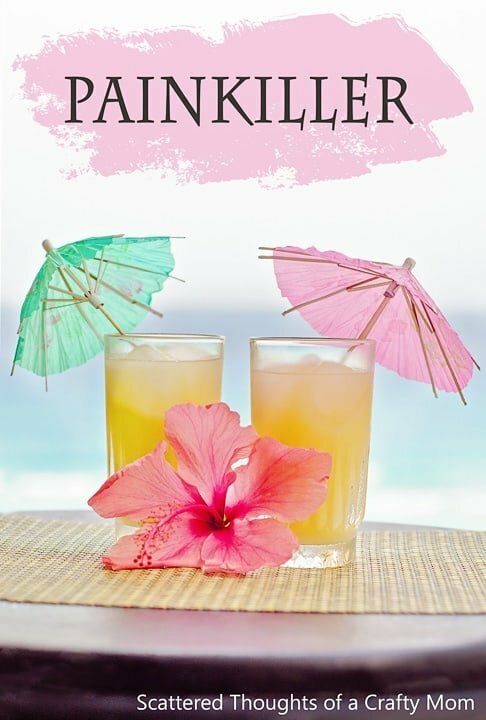 If you ever have a luau themed party, this would be a fabulous drink to serve. The coconut crème makes it absolutely divine. Combine all ingredients and shake/stir until combined. Pour over ice in a tall glass, serve.